on the Alabama Gulf Coast! I have been fishing for as long as I can remember. 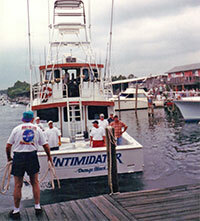 I have owned many different boats in my life; two of which were deep sea charter fishing boats named the Intimidator. Since the day I was introduced to fishing, it is all I ever wanted to do. 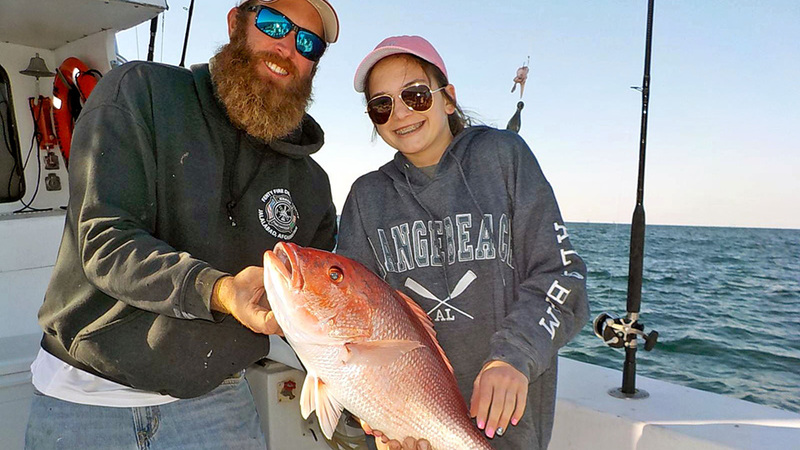 I fished freshwater, inshore but it wasn't until I commercial fished with the hi-liner in the Snapper fishery for years, that I realized my passion has always been seeing the smile on someone’s face when they catch the fish of a lifetime. It all started with my grandmother in a small farm pond outside of Andalusia, Alabama as a kid. 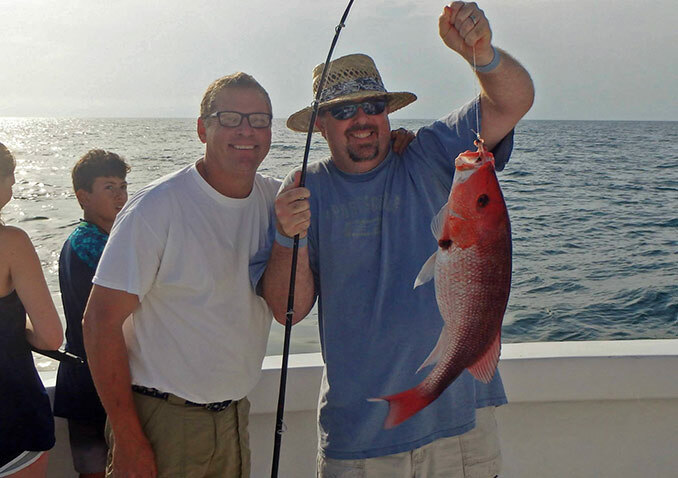 Then in 1979, thanks to my parents, I was introduced to fishing in the Gulf of Mexico along the Alabama Gulf Coast. After cutting grass, raking leaves, pulling weeds and saving my money, I bought my first boat in 1983. It was an old, 1960 model, tri-hull fiberglass boat that was 12 feet long and 6 feet wide with an old 20 h.p. Johnson outboard. 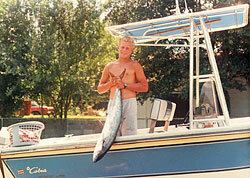 Then in high school, I moved up into the bigger outboard boats. 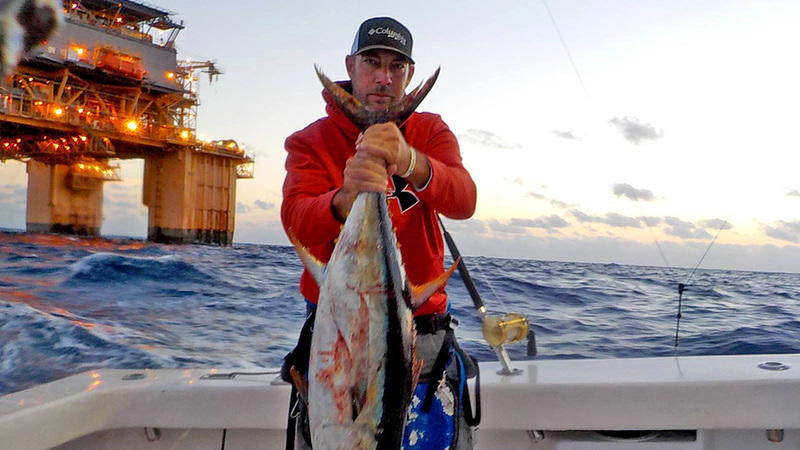 As my curiosity grew and friends introduced me to the world of offshore fishing, I then realized that I enjoyed seeing my friends smile as they pulled in their catch as much as I enjoyed catching the fish myself. 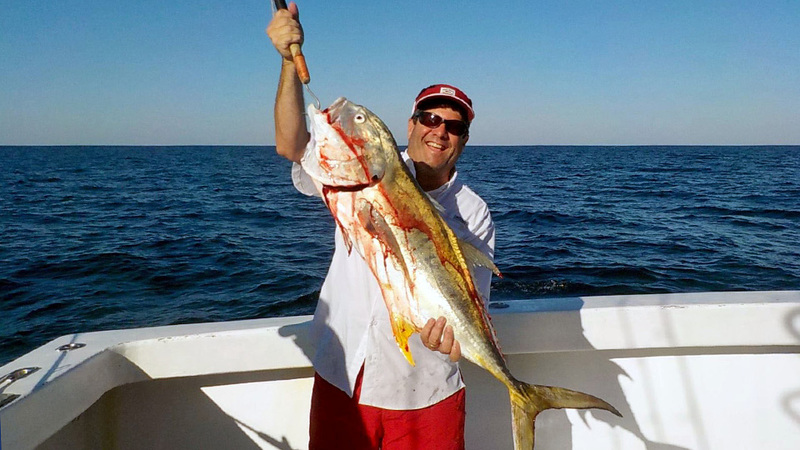 After working hard in the commercial fishery in the late 1980’s and early 1990’s in what seemed to me as a failing fishery, I changed directions and thought it might be easier to try charter fishing. After working in the cockpit of several boats along the coast, I met Captain Don Walker on the Intruder, and the rest is history. With five seasons of mentoring as his mate watching, learning and believing I knew it was time for me to go for it! So with a lot of blind faith and every dime I had saved, I took that step and established Intimidator Sport Fishing in July 1996. Since the purchase of the first Intimidator, I have been striving for successful business and making new friends. 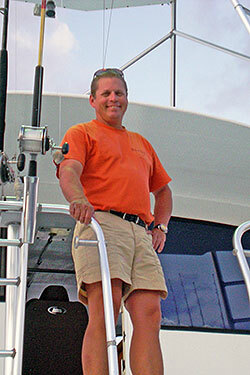 My first charter boat was a 1979, 50’, Will Guthrie Sports fisher. 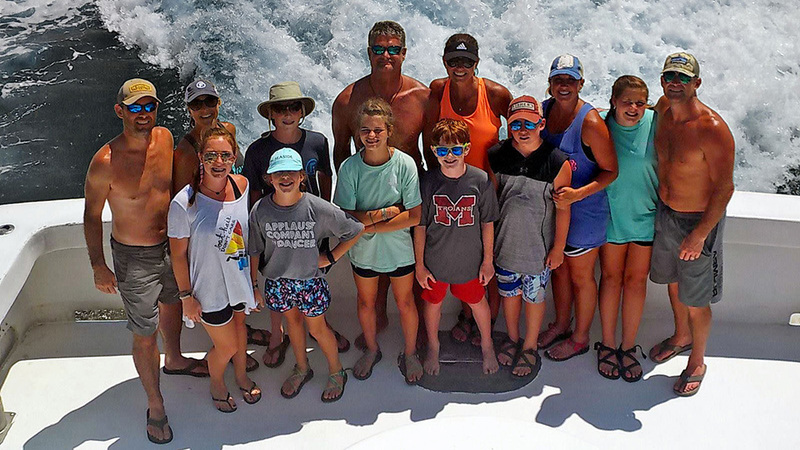 She was a beautiful wood hull boat that was handcrafted out of cypress and junipers planking along with white oak framing that had an enclosed wheelhouse station that was unheard of at the time. This was one of the most beautiful boats and rides in town. This was the perfect fit for a young business owner as it taught me how to take care of things and to see what lack of maintenance could do. Anyone who knows me at all knew that what came next was no surprise; I completely rebuilt her from stem to stern while establishing a core clientele that is still second to none. Then on a fall day in 2000, I was made an offer to sell the boat. I quickly accepted the offer and reinvested all of my money and time into my current boat, a 65’ custom built sports fisher. 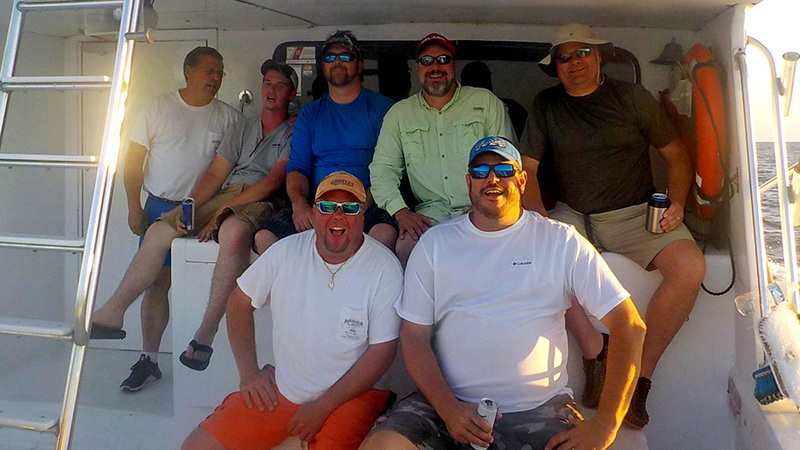 My crew and I did most of the work and personally created the new Intimidator from the ground up in 7 months. After completion of the USCG certified vessel in June of 2001, the rest has been nothing short of phenomenal. 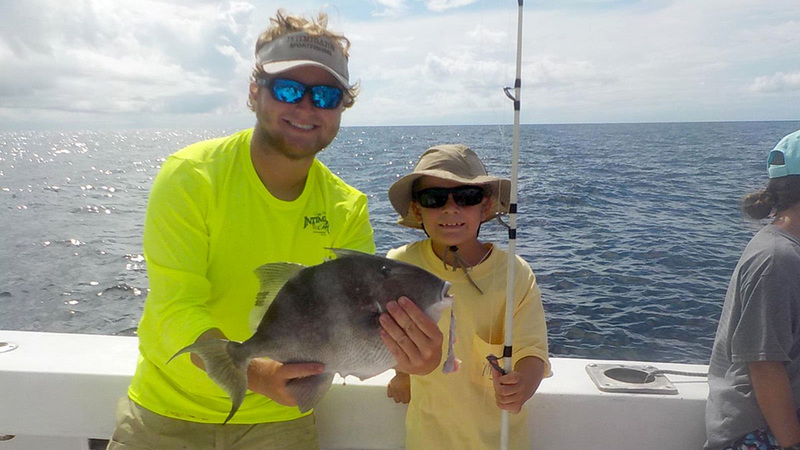 One of my biggest pleasures in life is watching kids fishing and having fun. But more importantly, seeing their parents make a memory that will be burned into their minds forever. 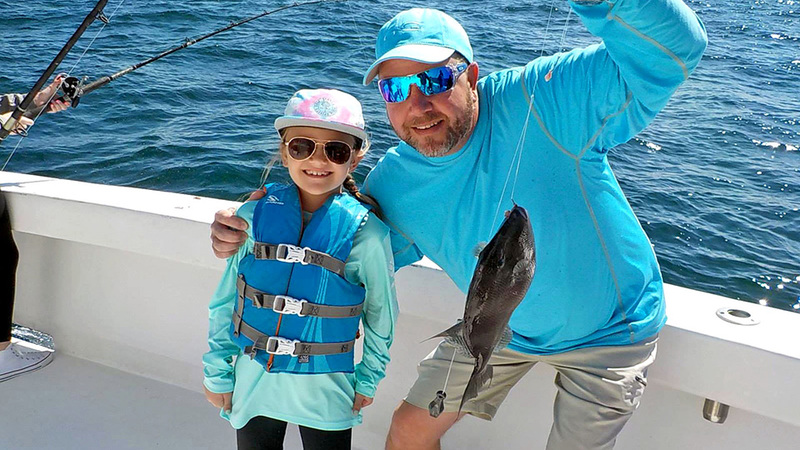 After thousands and thousands of personal and charter fishing trips, I can still remember my first fishing trip in the Gulf of Mexico with my dad. 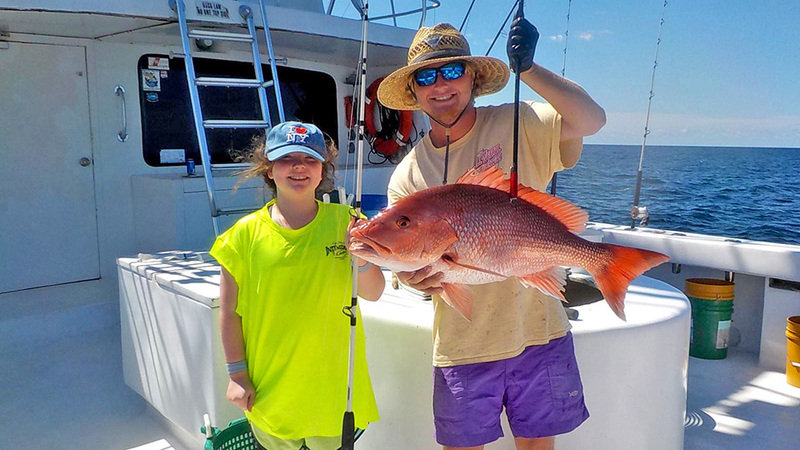 I hope those families that I take fishing along the Alabama Gulf Coast will have as many great memories in the outdoors as I do. 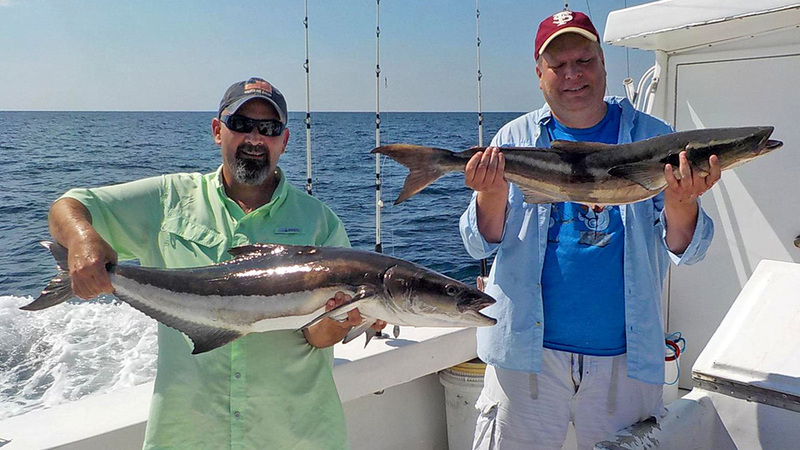 "I just love to hear people laughing and smiling when out fishing!" 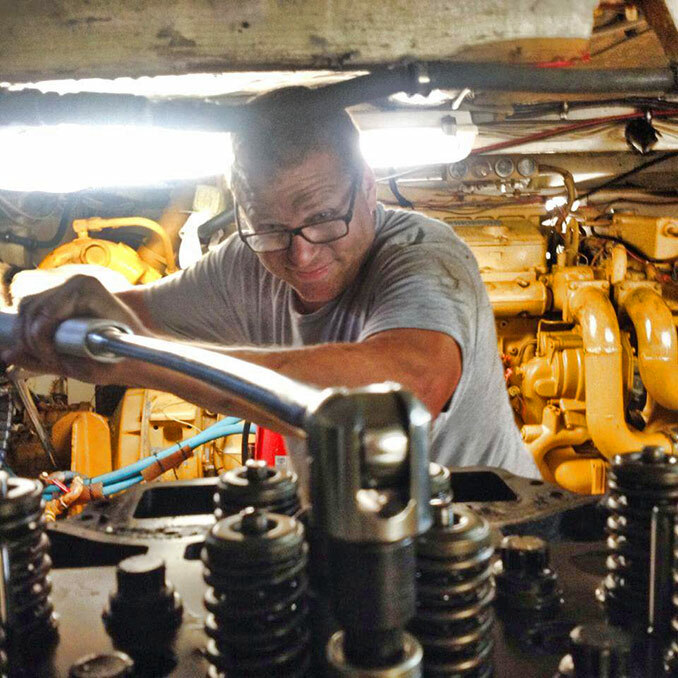 Meet Johnny Greene "The Grease Monkey!"